Mike is looking for some new outdoor gear. So yesterday we headed to Outside in Hathersage, one of Pinnacle Walking Holidays favourite outdoor shops. As I suffer from Raynauds it gave me the opportunity to try out these amazing gloves. They are definitely on my wanted list but sadly my birthday is not until September. I could not believe how good they felt and how quick they heated up, a must for Raynauds sufferers. At £149 they are an OUCH purchase but what a difference they could make on a cold day walking in the UK. If you suffer from Raynauds, poor circulation or horrendous hot-aches, the OR Stormtracker Heated Gloves might just be the answer to your prayers! 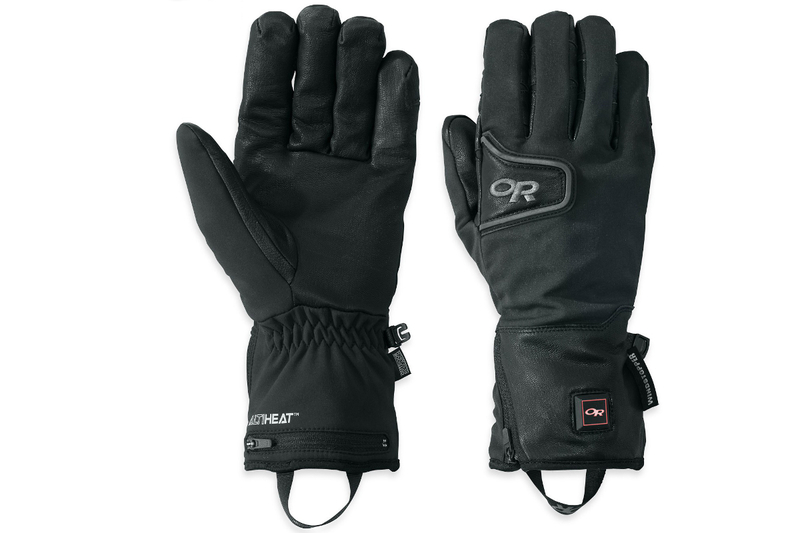 Built into their classic Gore Windstopper Stormtracker glove is an ALTIHeat™ battery powered heating element. Simply touch the button on the cuff to heat. This gives a choice of three heating levels – ‘warm’, ‘really warm’ or ‘Scorchio’! This entry was posted in Blog, Pinnacle Walking Holidays Blog, Recommendations and tagged DayWalk, gloves, LakeDistrict, WinterWalking on 30th January 2019 by Pinnacle Walking-Holidays.